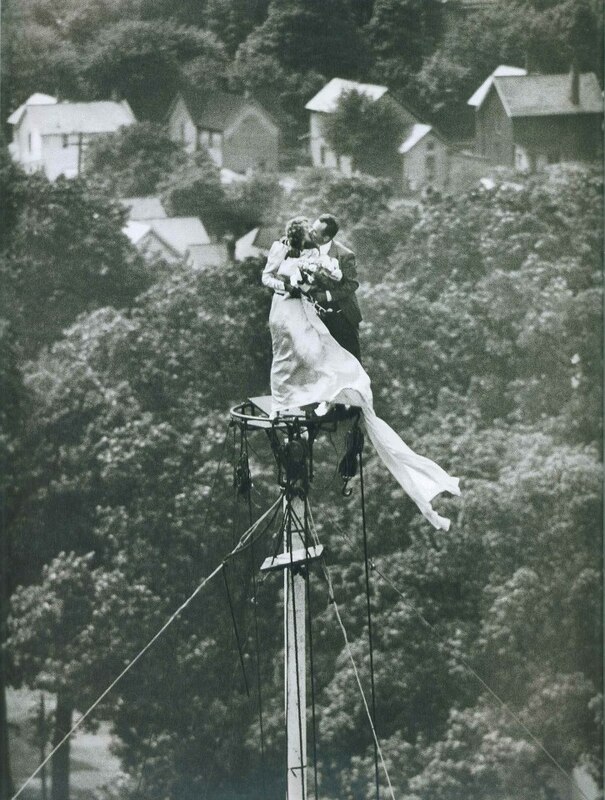 ✽Allan Grant : Yolanda and Marshall Jacobs after being married atop a flagpole, 1946. 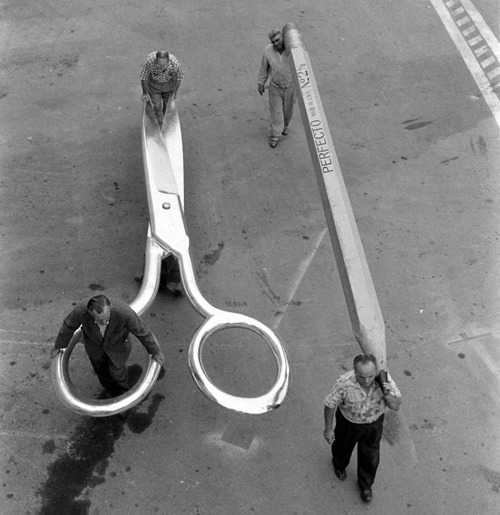 Movie stagehands pushing a 400-pound pair of gigantic scissors on a dollie next to two men carrying a 21-ft. pencil, just some of the props that created the illusion of a dwindling hero for the movie “The Incredible Shrinking Man” at Universal Studios. 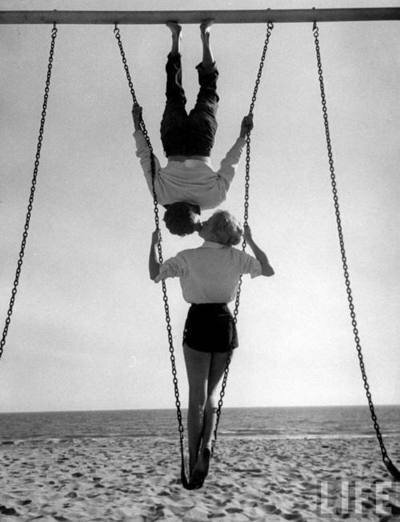 Photo by Allan Grant. 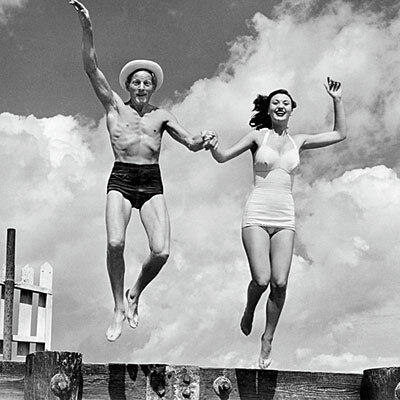 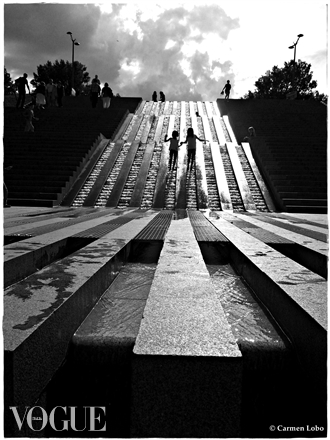 ✽Photographer : Allan Grant (1919 – 2008) was an American photojournalist for Life magazine.